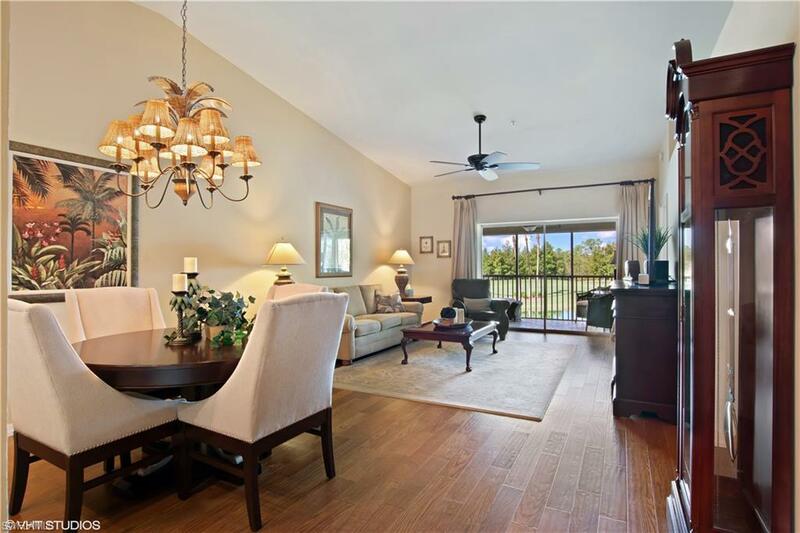 Without a doubt, This condo has one of the best views in Cedar Hammock!! 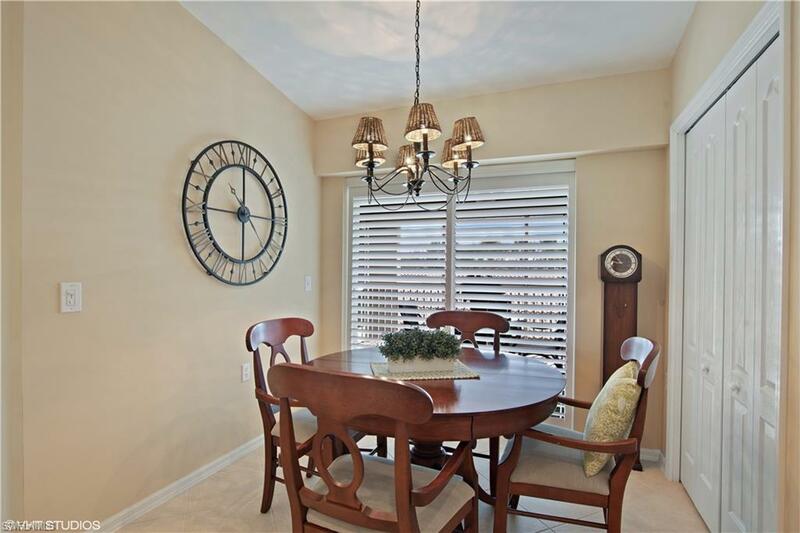 Situated with both Golf and Water views, this stunning home features 2 Bedrooms, 2 Baths plus Den. There are 2 Lanais front and rear, wood floors in the LR, DR & Den. The HW Heater and AC unit have been updated. 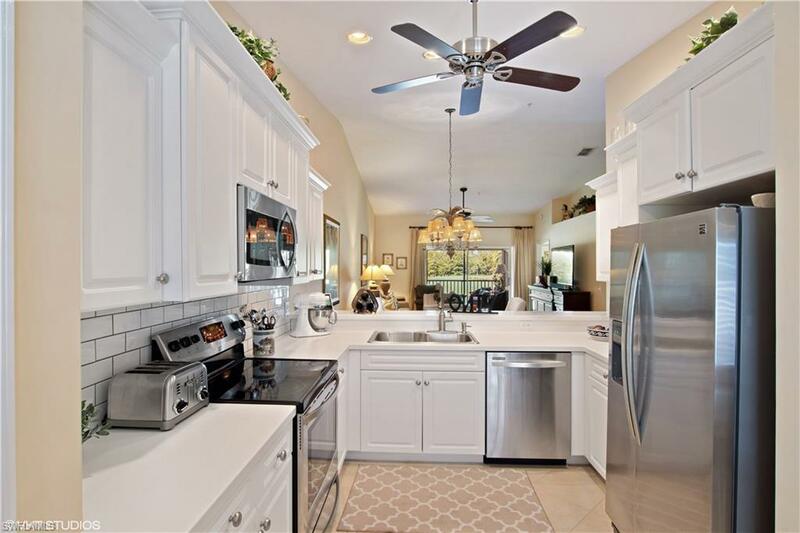 There are plantation shutters on all windows (except sliders), Stainless Steel Appliances in Kitchen, New Washing Machine, Subway tile backsplash, pullout cabinets in Kitchen and new roof. The Master Bath features double sinks, Master Bedroom has 2 walk in closets and a bay window overlooking the lake and golf course, plus 6 updated fans. There are 4 community pools, a state of the art fitness center, tennis courts and a great restaurant for casual or fine dining. 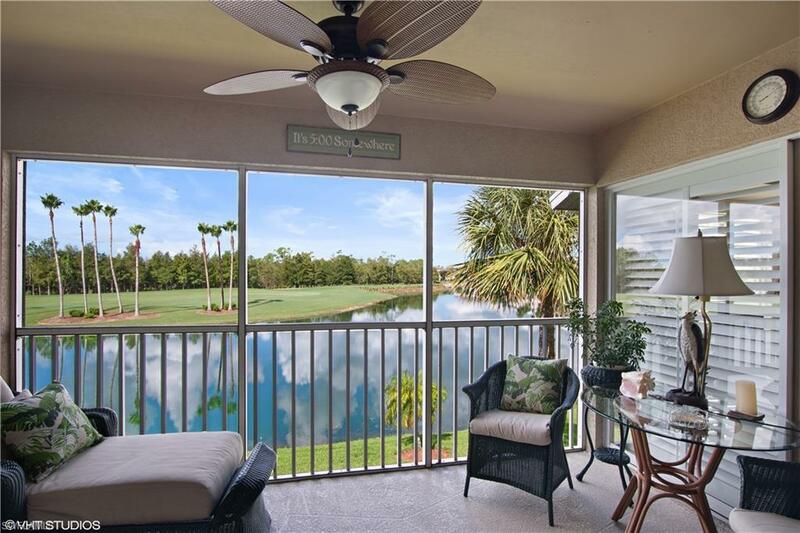 Cedar Hammock is a debt free well managed 18 hole Championship Bundled Golf Course that is located minutes to downtown 5th Ave, I 75, beautiful beaches and Marco Island. Roof is new. Exclude Dining room Chandelier & LR Drapes.